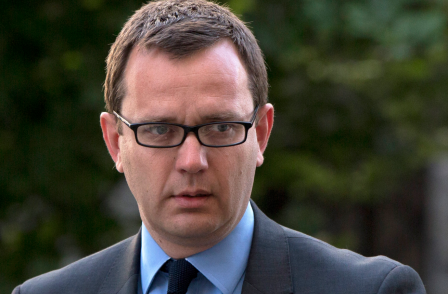 Former News of the World editor Andy Coulson has been given an 18-month prison sentence after being found guilty of conspiring with others to illegally access voicemails between 3 October 2000 and 9 August 2006. Coulson denied the charge, but was found guilty by a jury last week after an eight-month trial. 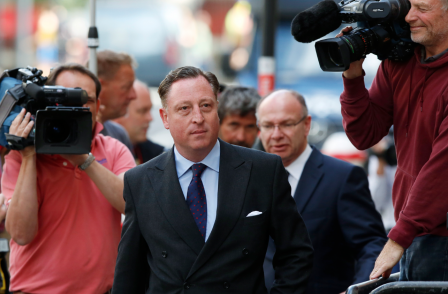 Former News of the World news editor Greg Miskiw and former chief reporter Neville Thurlbeck were both given jail sentences of six months after pleading guilty to involvement in the phone-hacking conspiracy. 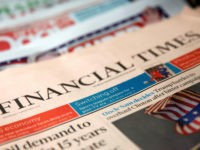 Former newdesk executive James Weatherup was given a four-month suspended sentence for his involvement in the practice, as well as 200 hours unpaid work. Private detective for the News of the World Glenn Mulcaire also escaped prison and was given a six-month suspended sentence in view of the fact that he has previously been jailed for phone-hacking. He will also have to carry out 200 hours community service. Miskiw, Thurlbeck and Coulson were all taken into custody. On the hacking of the voicemail of missing teenager Milly Dowler, carried out by Glenn Mulcaire for the News of the World in 2002 under the instruction of Thurlbeck, Mr Justice Saunders said it was "unforgivable" that the News of the World delayed giving evidence from the voicemail hack to the police. "Mulcaire picked up a message left on Milly Dowler's phone by an employment agency in Telford. "We now know that the message was left to them by mistake on Milly's phone and was intended for someone who had a similar mobile phone number and name. "The News of the World didn't know that, and a team of reporters were dispatched to find her. They failed. As we know, Milly was already dead. "The News of the World delayed telling the police the contents of the voicemail until they realised that they were not going to find Milly. "That was unforgivable and could only, in my judgment, have happened with the knowledge of the person editing the paper that week, Andy Coulson." The judge said Mulcaire had lied when he said he had hacked Milly's phone to help the police. He said Mulcaire knew "perfectly well" that he was hacking Milly's phone to assist the News of the World to obtain a story by finding her. The judge said: "The fact that they delayed telling the police the contents of the voicemail demonstrates that their true motive was not to act in the best interests of the child but to get credit for finding her and thereby sell the maximum number of papers." He said: "I do not accept ignorance of the law provides any mitigation. "The laws of protection are given to the rich, famous and powerful as to all." He said Coulson clearly thought it was necessary to use phone- hacking to maintain the newspaper's "competitive edge". "Mr Coulson has to take the major shame for the blame of phone-hacking at the News of the World. He knew about it, he encouraged it when he should have stopped it." Read the judge's sentencing remarks in full. News of the World managing editor Stuart Kuttner gave the information from the Dowleer voicemails to police on Saturday, 13 April, the day before a story based on them appeared in the newspaper. Coulson was deputy editor of the paper at the time and editor Rebekah Brooks (then Wade) was on holiday. Five former News of the Staff admitted their part in a conspiracy to listen the voicemails of celebrities and other figures (Mulcaire, Weatherup, Miskiw, Thurlbeck and Dan Evans), but Coulson denied he was involved in the practice. News of the World royals editor Clive Goodman was jailed in 2007 after admitting phone-hacking. In 2004, the News of the World ran a story based on a hacked voicemail about then Home Secretary David Blunkett having an affair with a married woman. Coulson said he was shocked and angry when he found this out and told Thurlbeck not to hack phones again. In mitigation, the court heard this week Thurlbeck's QC said: "That is simply not accurate." Dan Evans is to be sentenced seperately next month. Coulson blamed lawyers for not telling him phone hacking was illegal in his court bid to avoid the harshest jail sentence. His lawyer Timothy Langdale QC said it was clear from the trial that Coulson, 46, was not alone in being ignorant of the fact that phone hacking was illegal. 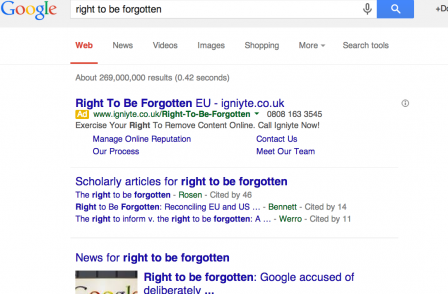 He said: "Perhaps the most salient factor of the evidence is that no one at the Not or the newspaper industry at large in 2000/06 realised that interception of voicemail messages was illegal, in the sense of criminal." He said the NoW's own legal department, whom Coulson consulted frequently, never advised him that it was a crime. After being convicted of hacking with former NoW royal editor Clive Goodman in 2006, Mulcaire was the only one to be charged again following Operation Weeting in 2011. Mitigating for the private detective, Gavin Millar QC said his client had already been jailed for six months in 2007 after pleading guilty to hacking and questioned whether he should be sent to prison again. He said Mulcaire had found the experience of jail "chastening" and he committed no further crimes in the last eight years. His career was damaged as a result of the conviction and he has been in and out of bankruptcy, the lawyer said. The married 43-year-old, of Sutton in Surrey, is facing the prospect of losing his family home. His lawyer said he had issued a statement in 2011 accepting the Milly Dowler hacking and offering his "personal sympathy" to the murdered schoolgirl's family. Millar said: "Our primary position is Mr Mulcaire should not be punished further. We say he has been sufficiently heavily punished for this very unhappy episode both by his 2007 conviction and sentence and by the vilification he has received since then in public for his role in it." One-time news editor Greg Miskiw was considered Mulcaire's main contact at the NotW for many years. He was responsible for tasking the private detective more than anyone else who worked on the tabloid's newsdesk. 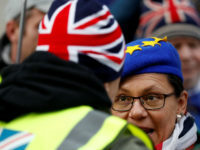 His career as a journalist began on a Wolverhampton newspaper in 1970 and ended at the Globe newspaper in Florida when he returned voluntarily to the UK to be interviewed by police. His lawyer Trevor Burke QC said that "effectively ended his career" and he had been unemployed since. The lawyer had asked the judge to take account of his early guilty plea and the fact he had expressed "genuine remorse". Miskiw, who suffers from health problems, lives off a "modest pension" and has "no real prospects", his lawyer said. The 64-year-old, from Leeds, cares for his elderly mother and supports a 13-year-old son, the court heard. Former chief reporter Neville Thurlbeck blamed his old boss Coulson and other more senior staff at the News of the World for phone hacking. He said Coulson was not truthful in his evidence about David Blunkett's 2004 voicemail declaring his love for Spectator publisher Kimberly Quinn. Coulson had told the jury he was shocked and angry when he found out about it from Thurlbeck and told him to stop phone hacking. But Thurlbeck's lawyer Hugh Davies QC said: "That is simply not accurate. No such disapproval of the practice was given by Mr Coulson. There was no direction to stop." Thurlbeck regarded his print career as his "life's work" but hacking had "completely and effectively destroyed" his professional life, Mr Davies said. In mitigation, he said: "The central line is that he, Thurlbeck, is no apologist for the unacceptable industry practices at the time. Some of what went on was entirely wrong." Thurlbeck took "full responsibility" for his actions and he apologised to the victims "unreservedly for the distress and intrusion into what should have been intrinsically private", his lawyer said. Before joining the NotW in 1994, he worked for both regional and national newspapers. During his career, Thurlbeck received recognition in national industry awards. But some of the stories celebrated as "scoops of the year" might be regarded by today's standards as not justified in the public interest, the court heard. In recent years, Thurlbeck has done charity work with Talking For Minds, a national organisation for post traumatic stress disorder. The 52-year-old, of Esher, Surrey has been married for many years and has two daughters aged 21 and 16. 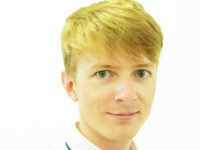 James Weatherup's role in the phone hacking was the least of the three newsdesk staff who had admitted the conspiracy. And he only instructed Mulcaire to hack phones because it was the "standing policy" of the NotW, his lawyer said. Charles Bott QC said: "At the time of Mr Weatherup's offending we say phone hacking was endemic. Secondly we say the ultimate responsibility for that lay at senior editorial levels. Thirdly the suggestion that phone hacking was the responsibility of a small clique of news editors is falsely misleading. "We have gone from rogue reporter to rogue reporter-plus – but neither of those reflect the truth. "Phone hacking was condoned and encouraged by senior managers at the NotW for the simple reason it was an expedient and cost effective way to obtain information." After he was implicated in hacking, Weatherup had suffered both emotionally and financially. His marriage ended in 2012 as a "direct result of the pressure he faced in recent years" and he was forced to sell his house and move to smaller accommodation, the court heard. After a period of unemployment, Weatherup, 58, of Brentwood in Essex, managed to get a job working for a small caravan company on a quarter of the income he once enjoyed.